This Sunday, February 3, the New England Patriots take on the Los Angeles Rams in Super Bowl LIII. If you haven’t scored tickets to the game, no worries — nearly every bar, restaurant and rooftop pool deck on Fort Lauderdale Beach is hosting watch parties. Elevate your Super Bowl Buffet with one of three Super ROLL Sushi Platters from Tsukuro. Order ahead for pick up and save 20%* off the Regular Menu price for combinations of your favorite rolls, ranging from staples such as Vegetable, Mango and California Rolls to the exotic Rainbow, Dragon and Dancing Eel Rolls. Small platters ($68 / 48 pc) will easily satisfy 6-8 people, and for those big gatherings of 10 or more, the Large platter ($160/112 pc) is quite the feast. Call 954.523.1407 to pre-order ( two-hour window requested) or email in advance to Tsukuro@ItsBetterOnTheBeach.com. Delivery is also available via Delivery Dudes for those halftime sushi cravings. 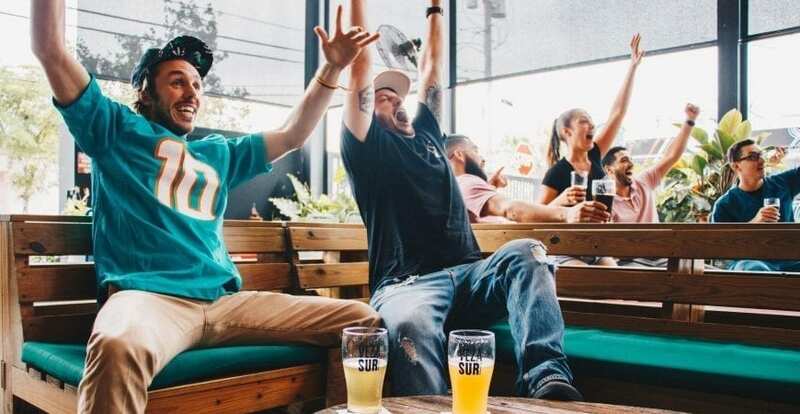 The Florida Bar, B Ocean Resort’s lobby bar, and the resort’s Wreck Bar will be teaming up to offer guests a place to lounge, eat and watch the game. Equipped with a total of 10, 75-inch TV screens, B Ocean Resort will offer bottomless stadium-inspired food for $45, as well as $10 cocktails and $5 draft beer specials. Guests can also catch a live underwater burlesque show at Wreck Bar during halftime and post-game. This Super Bowl Sunday, add a Mexican twist to traditional Super Bowl snacks at El Vez Fort Lauderdale. The Mexican eatery’s expansive outdoor terrace offers a prime location to watch the game while indulging in your favorite game day drinks, from tried-and-true margaritas and beer, to as much Mezcal as your heart desires. Take advantage of El Vez’s Super Bowl deals with Corona cans for $3.50 and half-priced Nacho Mama platters with melted queso mixto, black beans, salsa ranchera, sour cream, pickled red onion and jalapeños. Loca Cocina Tequileria, the oceanfront Mexican eatery inside the Westin Fort Lauderdale Beach Resort will screen the Patriots-Rams showdown on a 10-by-10-foot projection screen, and will offer a bottomless guacamole station for $5, street tacos for $5 and Mexican beer for $5. Visitors can also enter a Halftime Punt, Pass and Kick beach contest for a chance to win a free weekend package for four at the Westin. The beachside Cajun mainstay has 25 big-screen TVs, which will create the kind of NFL frenzy that can only be tamed with LuLu’s tailgate menu: loaded potato skins, baked pretzels, grilled bratwurst, bacon cheeseburgers and buffalo chicken sliders. Buckets of Bud, Bud Light and Bud Light Lime will cost $19. Belly up the the bar or on the dance floor for The BIG Game on Sunday, February 3, at Rock Bar’s All Day Watch Party both inside and outside on Two Jumbo Screen TV’s. Featuring 2-4-1 DRINK SPECIALS all day at the Bar and BEER BUCKET SPECIALS favorably priced at 5 for $19 Domestics and 5 for $21 Imports, you can also Register and Claim a voucher for 10% off All Appetizers, Burgers, Salads, South of the Border and Grill Favorites online. Get it here and be a part of the fun. Even though their beloved Philadelphia Eagles will not be playing in the big game this year, if you’re looking for a neighborhood atmosphere with friendly service to watch the game, you can’t beat the World Famous Parrot. 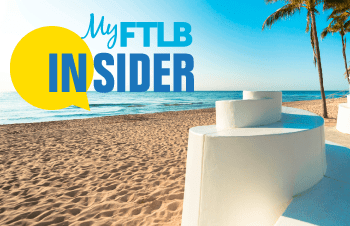 Featuring the largest selection of domestic, import, and craft beers on Fort Lauderdale beach and daily happy hour specials, kick back with a Frozen Daiquiris or Margarita ($5.50) and chat it up with friends at this local favorite. Did we miss your favorite place to catch the game?